There is also a newer 3.5ish version called Heroes of Battle that has a bunch of rules about mass combat and meshing it with character groups. That book is almost entirely about large scale combat. Thanks, I had not heard of that one, Zenako! Awesome build, Rabbits. I love the action shots and the whole thing inspires me to someday run a mass combat assault on (or defense of) a keep like this someday! Not sure if I would use D&D or find some other ruleset with more options for mass combat. Love it! GardenDM, you have D&D options ranging from the original Chain Mail ( which IIRC preceded and inspired D&D), the AD&D 'Battle System' rules and Chivalry and Sorcery. If you want a copy of Chain Mail PM me and I'll scan it too you. I have an original printing copy. a guardsman who's tail coat caught alight running through the keep 'Benny Hill' style setting fire to everything. The Evil Necromancer being foiled by the God kings bald head 'my eyes!' Channelling our inner SpongeBob. Not very lagomorph warreny, but lovely8 builds, Rabbit. So the 'spoke' towers are barracks with access only from the bridges. The only ground access is via the front big tower. 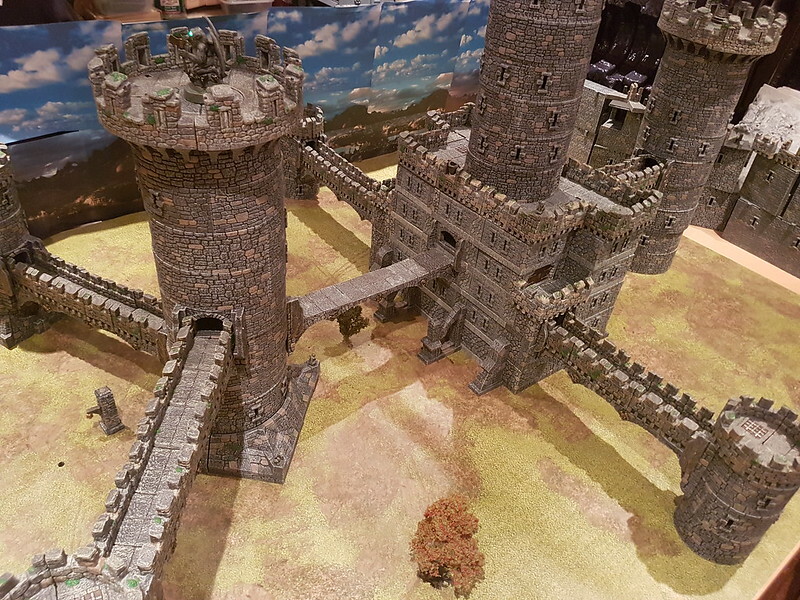 With the bridge between the main keep and the front tower devoid of crenellations to make sure any would be attackers are exposed. Good to know, Rabbit. I will likely just use a cube spacer in the middle of larger land bridges, but I'm glad it doesn't sag between towers. I like the bridges and plan on getting some more. Your tower build only enhances my desire for more bridges (and towers that reach to the clouds like yours!). Interesting build Rabbit. What was the intended function of those towers on the bridge spokes? Kind of vulnerable to attack I would think? Those are tall towers! (not even sure how tall the one in the middle really is, but it is sitting on a 5 story keep to start with.